Dr. El-Damaty said "During the recent cleaning of the tomb, an ostracon was found inscribed with the title of "Mistress of Women" which made the team believe that Maia wasn't only King Tutankhamon's wet nurse but she probably had a higher position if she held the title "Mistress of Women" even though the "wet nurse" is the most known title of her. 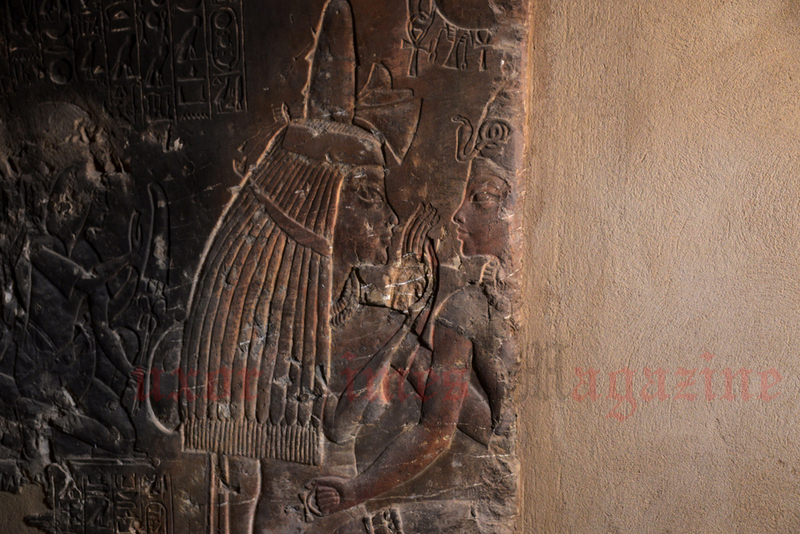 The minister added "There is a possibility that Maia could be the sister of Tutankhamon who is called "Meritaten"." In the royal tomb of Meketaten (Elder daughter of Akhnaten) in Tell Amarna there is a scene depicting "Meritaten" breast feeding (nursing) a baby who is believed to be "Tutankhamon"
Dr. Mahmoud Affifi, head of Egyptian antiquities department, said "The tomb was reused heavily in late periods and Greco-Roman time as cats cemetery where original scenes and inscriptions were covered with stones and building material. 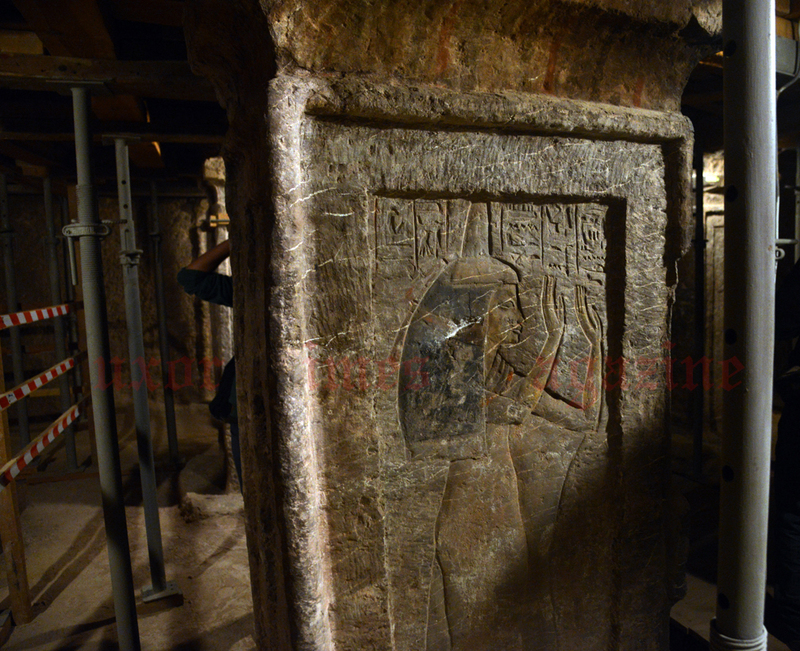 The cleaning process included removing all those addition to show the tomb as it was in its original state." 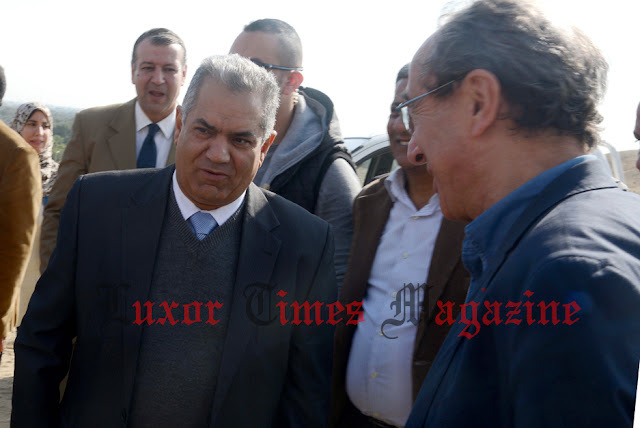 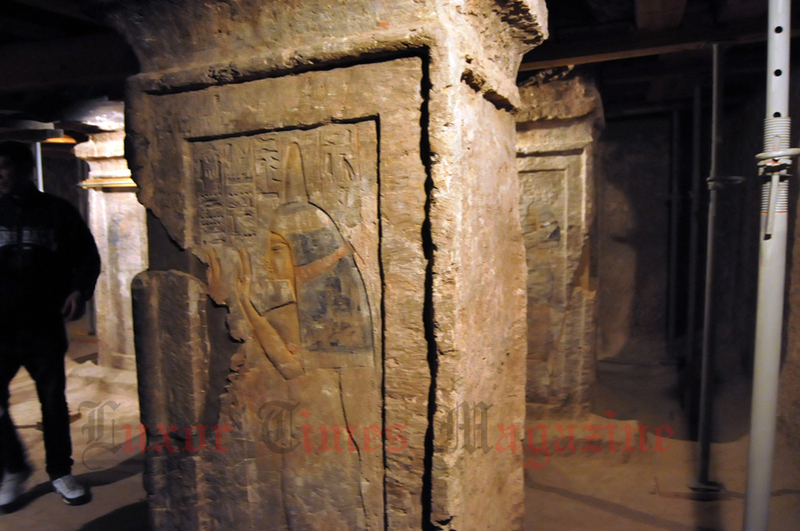 Below a video of Minister of Antiquties, Dr. Mamdouh El-Damaty talking to Luxor Times about what is possible to be found behind the walls of King Tutankhamon's tomb in the Valley of the Kings (KV62) and the link with Maia's tomb in Sakkara.